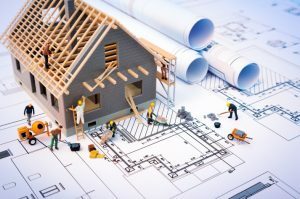 How Do You File A Lien In A Construction Payment Dispute? Contractors, subcontractors, and suppliers deserve to be paid for the work they complete and the supplies they provide. All too often, however, they are not adequately or promptly paid and find themselves in a payment dispute. Fortunately, the law gives those in the construction industry a legal tool called a “mechanic’s lien” to use to secure their right to proper payment. Can You File a Lien? The first step is to determine whether you are eligible to file a lien in California. Our state only recognizes liens filed by individuals who are in a contract directly with a property owner, a contractor, a subcontractor, or anyone who is a legal agent of those parties. If you are not in a contract with the owner of the property, you are required to provide a Preliminary Notice to the owner and other required parties no more than 20 days after you first provide labor or supplies. Any work performed prior to the 20-day window will not be protected. There is also specific language that this notice must contain in order to qualify you to file a lien. It is wise to consult with an experienced attorney who understands construction law to ensure your rights are fully protected. The lien document is called a Claim of Lien and must include very specific elements and language. Some elements of a proper mechanic’s lien include identifying information of the property owner and who hired you, description of the property and your services, a demand statement and description of what you are filing a lien for, additional statutory language, and more. You should also have the assistance of a skilled attorney when preparing your lien to ensure it meets all necessary requirements. It is often best to deliver the lien to the recorder’s office personally or by courier to ensure it is recorded in a timely manner. Hopefully, once you have a lien filed, the property owner will be more responsive to your collection attempts. However, even if they still refuse to pay, you can file a legal claim to enforce the lien within 90 days of the lien being filed. The mechanic’s lien process is complex and you should always have the guidance of an experienced business attorney who understands relevant California laws. Please call Structure Law Group, LLP at (408) 441-7500 for help today.